Like so many rookie web hosting consumers, I turned to GoDaddy for my first domain name and shared hosting account. I had cluelessly signed up for the wrong shared hosting plan, but GoDaddy’s support staff helped me get back on track. Since 1997, the web hosting and domain name registration giant has racked up 17 million customers around the world and oversees more than 71 million domains. 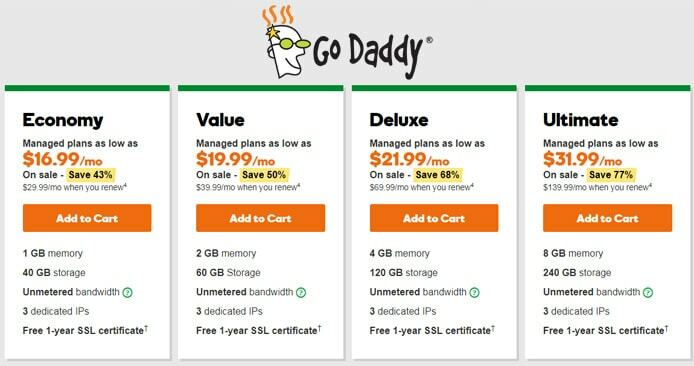 The mass-market appeal saddled GoDaddy with a bland reputation for appealing to the most inexperienced shared hosting customers, but the last several years have seen leadership changes, revamped infrastructure, and powerful, comprehensive services that cover the full web hosting spectrum. Running the world’s largest cloud platform dedicated to small, independent ventures, GoDaddy offers fast, secure, and scalable VPS plans for those early customers, like me, who are looking to take the next step in hosting. We ran the virtual private servers through the gauntlet to rate GoDaddy’s services, performance, and support compared with other veterans of VPS hosting. Knowing when your business or websites are ready to take the leap into a VPS hosting plan can be tricky. Symptoms of outgrowing shared hosting include needing more storage space, specialized security, or dedicated computing resources, among other signs. Although the GoDaddy name might not be the first hosting provider to come to mind, the company’s VPS plans offer the same security, speed, support, and value the brand embodies in shared hosting. A beacon of flexibility, GoDaddy offers four VPS options for both Windows and Linux plans, in addition to three levels of managed services. Our biggest complaint is that site owners are responsible for migrating their information and files to the VPS, but we appreciate that GoDaddy will provision the virtual server in minutes and take care of patching, security, monitoring, backups, and more. 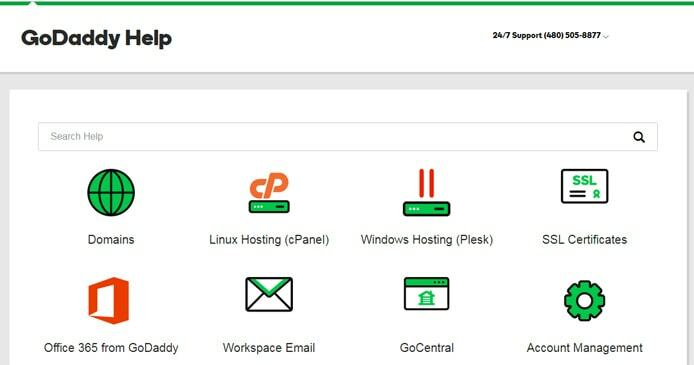 In addition to speedy provisioning, GoDaddy lets you get straight to work configuring your environment by offering six operating system options. Management through cPanel will appeal to first-time VPS customers making the jump from shared hosting, but we appreciate that GoDaddy also offers administrative root access for installing components, such as PHP, proxy servers, and other modules, with ease. Site owners can manage their VPSes themselves if they dare, but GoDaddy includes some managed services as a default. The company’s team will handle patching, security monitoring, and backups as part of the semi-managed service, with migrations and premier support available to fully managed customers. Another perk to signing up for one of the managed plans is that GoDaddy, in partnership with SiteLock, will take care of speed and security. A content delivery network will come pre-installed, as well as malware removal tools and a web application firewall. A worthwhile investment at any level of hosting, GoDaddy has long been known for offering a great deal on performant and secure services. Plans start at an affordable $19.99 per month, making GoDaddy slightly cheaper than our other top-rated VPS hosts. The company has the added distinction of offering four Windows-based VPS plans; while the hosting packages tend to be more expensive than their Linux-based counterparts, GoDaddy remains a few dollars cheaper each month than competitors. GoDaddy is an affordable VPS hosting provider that doesn’t scrimp on services or performance. As your site outgrows the base VPS packages, customers can quickly upgrade your plan without having to re-provision your VPS. In the milliseconds-matter world of web hosting, we love that successful site owners can quickly scale their computing resources to meet traffic demands without having to wait for a server to come online. GoDaddy provides unmetered bandwidth, meaning your site will hold up relatively well to an unexpected flood of visitors. During periods of average traffic flow, your VPS will serve your data on par or even faster than many other hosting providers. GoDaddy technicians will notify you if high bandwidth rates present a risk to your server’s stability, performance, or uptime. You will either be asked to upgrade your hosting plan or see your resources throttled, but we appreciate that GoDaddy doesn’t charge for overages. On the page load front, GoDaddy servers are equipped with modern Intel processors and access to a content delivery network. CDNs are a distributed network of servers deployed in multiple datacenters across the world that delivers information based on the geographic location of your visitor — the closer your content is to your customer, the faster they can see the information. GoDaddy operates nine datacenters and has made a major push to upgrade and expand its infrastructure, growing from roughly 37,000 servers in 2014 to 55,000 servers in 2016 — nearly 1,000 new servers added every month. When you have 1,000 or so engineers taking care of your infrastructure, reliability seems like all but a foregone conclusion. With website uptime and availability among the most important aspects of running a successful eCommerce store, blog, or professional portfolio, GoDaddy performs admirably well. The company promises a relative average 99.9% service uptime guarantee, but recent investments and upgrades to the GoDaddy stack give us confidence that mark will be met. For most users, 99.9% uptime is enough, especially considering GoDaddy’s affordability. For such a massive host, GoDaddy provides excellent customer service through phone, chat, email, and Twitter. About two-thirds of GoDaddy’s staff of 6,000 full-time employees work at customer service centers, which are ready to help users around the clock. Customers can contact GoDaddy via phone, chat, Twitter, email, and a ticketing system, and the hosting provider maintains an extensive online help center and user forums. While managed and fully managed VPS customers enjoy pre-installed security tools, GoDaddy’s backup options leave a lot to be desired. The company takes snapshots every 10 days and will only help you restore a backup for a fee. Managed and fully managed VPS customers can take and restore snapshots as they choose. How Do GoDaddy’s Virtual Servers Compare With Competitors? Despite being more known for affordable shared hosting and domain registrations, GoDaddy offers strong VPS services and options to customers. Having tested all the hosting plans we can get our hands on, we have no problem recommending the company to entry-level VPS consumers. As I gained experience and comfort with running websites, I looked to spread my wings beyond what I perceived to be GoDaddy’s beginner-friendly nest. I was one of the customers who left the company in the wake of controversies surrounding overly sexual advertising and the then-CEO’s killing of an elephant. 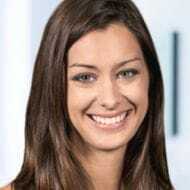 In the years since, however, a new, tech-minded CEO has overhauled the company’s reputation and infrastructure to an impressive degree. GoDaddy is no longer a bargain-basement web hosting service and domain registrar for beginners; developers, entrepreneurs, hobbyists, and enterprise organizations can all find hosting happiness with shared, VPS, or dedicated servers. See how GoDaddy compares with other top hosts by checking out our host-vs-host battles.